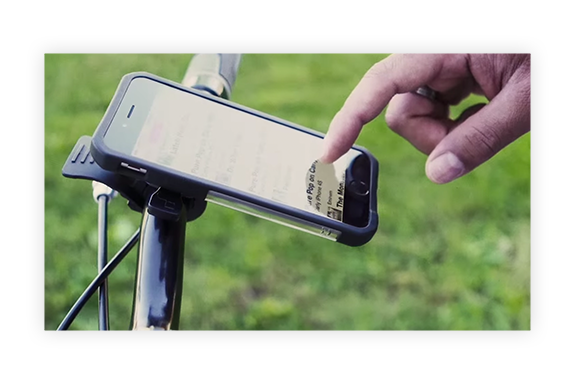 Don’t risk having your phone fall out of your pocket on the road or trails! The Rokform Handlebar Mount features both our quarter turn RokLock retention mounting technology. Simply twist your Rokform protected device onto the RMS, and you are ready to ride. Just in case that’s not enough, attach your Rokform wrist lanyard that’s included with every case, and wrap it around your bike mount for an added layer of protection. You can remain confident that your phone will stay in place no matter how hard you ride. When you ride with the Rokform Galaxy Handlebar bike mount , you will have easy access and a clear view of your device while you ride. Keep your navigation in view, but out of the way, throughout your next ride. Enjoy easy access to your favorite biking apps like Strava, and total control of your favorite playlists. You’ll always be able to screen your calls and texts so you only have to pull over for the very important ones. The Rokform Handlebar Mount is built strong, to withstand daily use and abuses, while always looking great and performing outstandingly. 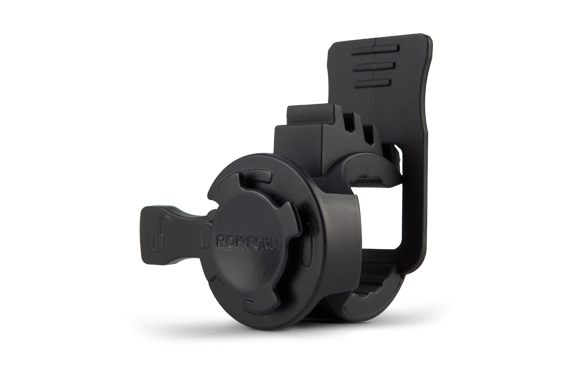 Made from ultra-tough and lightweight TPU, the Rokform Handlebar Mount is feather-light and weighs less than 1 ounce. Not only will it never weigh your bike down, you will always ride assured that you have a trustworthy product, made of only the highest quality and toughest materials, holding your device in place. 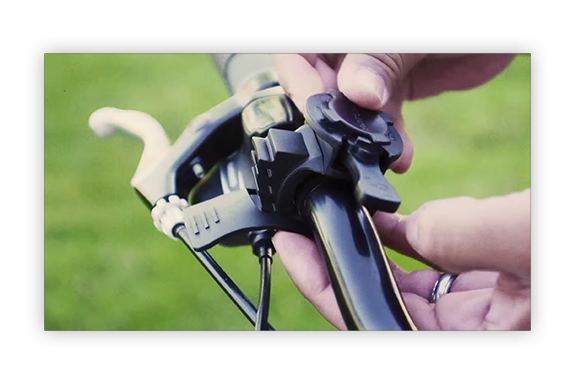 The Rokform Handlebar Mount is extremely easy to install. Simply attach it to your bar of choice, fasten the adjustment tab, and you’re ready to mount your phone. When you’re ready to take your phone off, just push the locking lever, and twist to unlock. 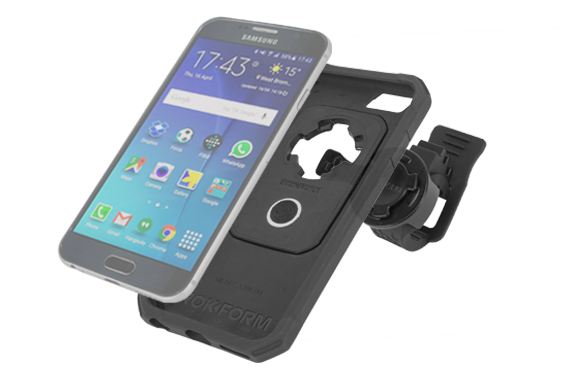 No matter what kind of terrain or weather conditions you ride in, your Rokform gear will surely keep your Samsung Galaxy safe. 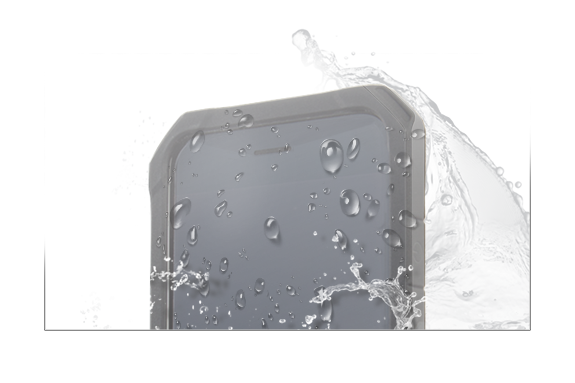 Before you go on your next ride or outdoor adventure, we recommend trying the Rokform Weather Resistant Bag, which is included in your Samsung Galaxy Bike Mount kit, for protection against water, mud, dust, dirt and oil.